Viknesh Vijayenthiran August 10, 2015 Comment Now! 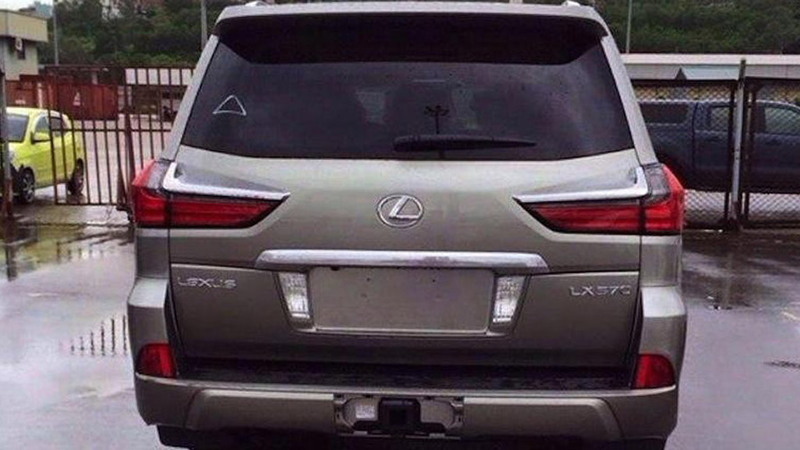 Hot on the heels of leaked images of the updated 2016 Toyota Land Cruiser comes new images of the big SUV’s corporate cousin, the 2016 Lexus LX 570. Both vehicles trace their roots back to the 2008 model year, when they were introduced as all-new models, and both were given updates for 2013. 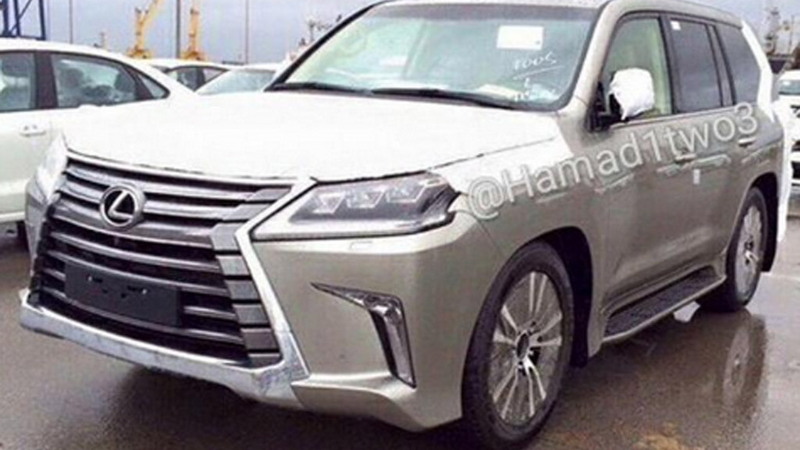 We should see the latest versions of the Land Cruiser and LX 570 officially revealed later in the year. The latest round of leaked images come courtesy of Twitter user Hamad1two3 (via ClubLexus). 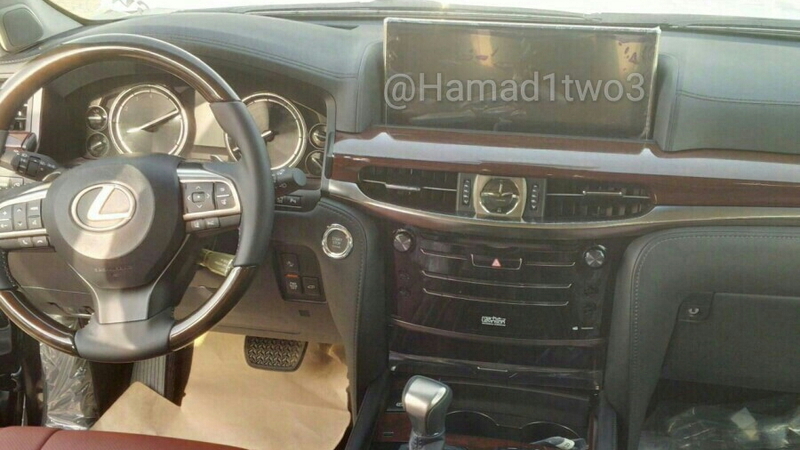 They reveal that designers have gone for a more aggressive take on the Lexus spindle grille introduced on the LX 570 with the 2013 update. In addition, the shape of the headlights is also new. This is made possible thanks to some new front fenders, which also feature sharper creases than the units on the current model (shown below). At the rear, the D-pillar is completely new. There are also new tail lights, and a new wheel pattern. The changes inside are just as dramatic, with the center stack mostly revised and a large display screen situated at the top. 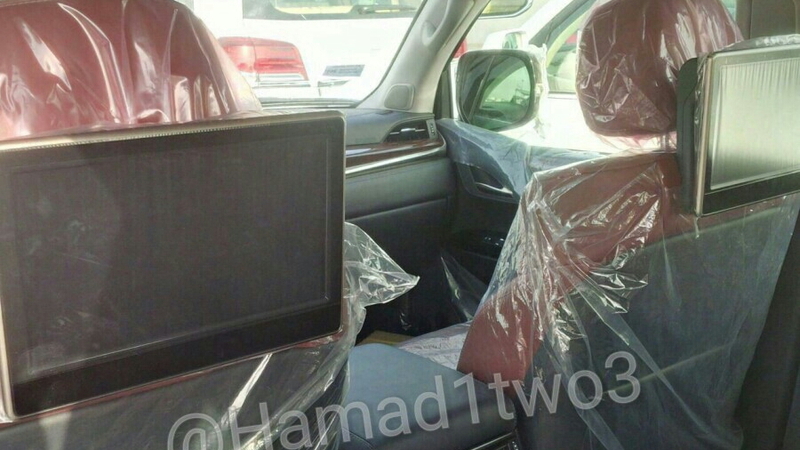 We’re also expecting the latest Lexus Safety System+ suite of electronic driver aids to be part of the update. 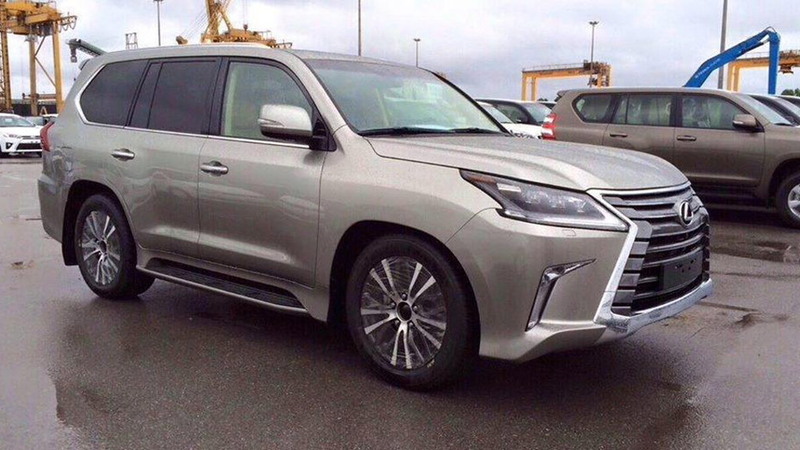 Here in the U.S., the updated LX 570 should continue with a sole V-8 option. The current model’s 5.7-liter V-8 is rated at 383 horsepower and 403 pound-feet of torque, and we expect this latest model to feature similar numbers. This should be the last round of updates for the Land Cruiser and LX 570 before a complete redesign in the next two to three years. Stay tuned for the official reveal.